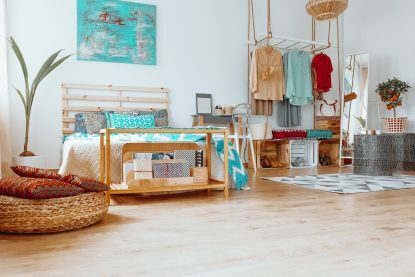 Couture the physical space of your closet has many advantages and in the long run, your closet will look stylish and your clothes will get proper care. Closet ventilation – let your clothes to breath fresh air in order to prevent mold and bad smell that can impregnate in your clothes. If you have a walk-in closet have a fan installed in your closet and leave it on time to time. Or if your closet has the opening towards a room you may leave the door open for the air to circulate. Also, don’t forget about the drawers: leave them open and make sure that the airflow is good enough for your clothes to smell fresh. Lights – have proper lights when you are looking quickly to grab something on-the-go. You may not want to knock off a stack of clothes or worse to smash your favorite pair of shoes. Proper lights help you to have a good view of the whole closet. See it, grab it, wear it! A mirror is a must: the ideal is to have two mirrors in your closet to see yourself front and back. Always check your back and double check your look before you leave the house. Couture your closet choosing a paint color for walls that sooth and boost your mood at the same time. Decorate your space: hang pictures with your style icon, fashion quotes, pictures with favorite outfits from magazines. Scent your closet with your favorite fragrance. Eucalyptus and lavender sachets are the best options not only for the soothing and relaxing smell but also for keeping the moths away.